There were few incentives to trade the dollar aggressively either way ahead of tomorrow’s important batch of jobs data. The dollar fell versus the euro, and the Canadian, but gained on the UK pound following the Bank of England’s latest monetary policy statement. 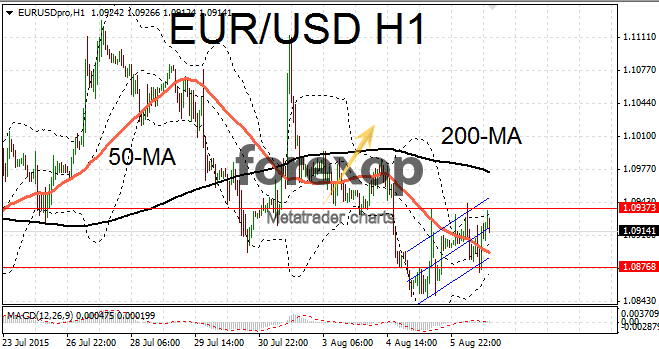 EUR/USD had another choppy session but on the short time frames the market was veering towards the bullish side. 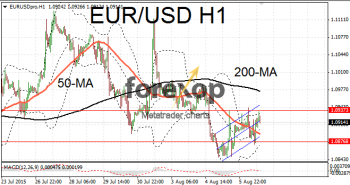 EUR/USD remained above the 1.09 level for most of the session – support is forming around 1.0876 and resistance at 1.0937. The pair spent most of the day trading above the day’s pivot line (at 1.0896) which added to bullish sentiment. AUD/USD fell to 0.7342 after mixed data on the Australian labor market. The unemployment rate unexpectedly jumped in June according to the latest official statistics. According to the Australian Bureau of Statistics, unemployment rose to 6.3% – reaching a six month high. The participation rate however increased to 65.1% which dampened the impact. Overall the data is a further sign that the Australian economy is coming under pressure as its mining industries scale back. Metals were also weak which put further pressuring commodity currencies. Brent crude looks set to post its eighth successive weekly decline. Brent is trading under $50 and is now close to a seven month low. USD/CAD pulled back from its 11-year high falling to 1.3125. An important batch of data on the Canadian economy is due tomorrow including unemployment figures and the Ivey survey of leading business indicators. Most of this will coincide with the jobs report for the US so prepare for above average levels of volatility in USD/CAD. Over in the US weekly jobless figures came in just above forecasts today. The US Department of Labor reported 270,000 new claims for state unemployment up to the end of last week. The figure was slightly better than the 273,000 that markets were expecting. This brings the four-week moving average, which most see as a more reliable measure, to 269,000. The trend also remains favorable which shows the US jobs market is in decent health.